If you want to see some of the most ionic locations in the United States, consider taking our 7-Day tour to Yellowstone National Park and Mt. Rushmore! 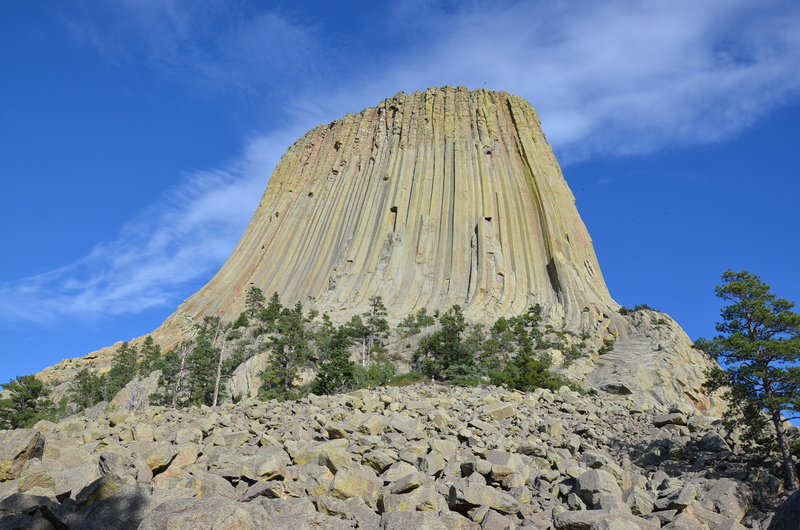 Along the way, stop by famous landmarks and monuments such as Crazy Horse, Little Bighorn Battlefield, Devils Tower, Bear Country, the Grand Tetons, and more! This tour covers more distance than any of our other currently offered tours and takes guests from the Bay Area, California all the way to South Dakota! 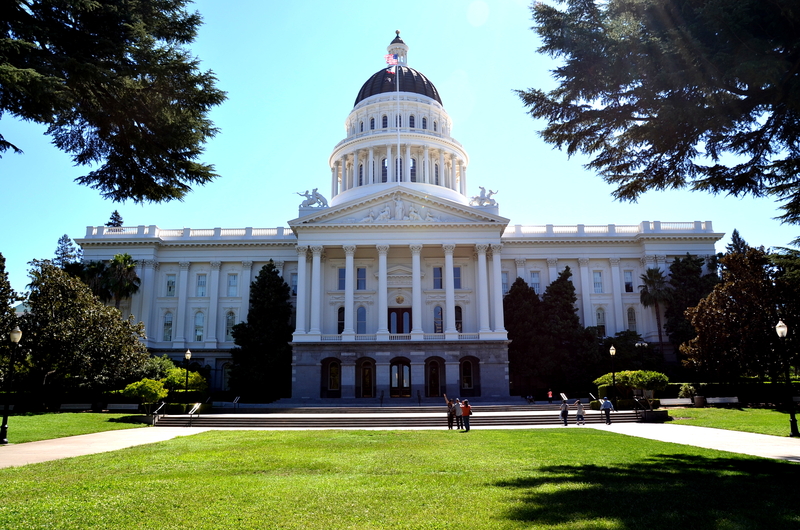 The first stop on the YMR7 tour is at the California State Capitol Building in the city of Sacramento. Walk around and enjoy the beautiful neo-classical capitol building that dates back to the 1800s and enjoy various statues and artwork. Surprisingly, the capitol building is more than the home of California’s legislature. It is also a functioning museum that is enjoyed by visitors everyday! Inside the building, you can view a number of historic rooms displaying how offices were set up in the years 1902, 1906, and 1933. There are also a number of informational rooms and exhibits such as the Library Exhibit Room, The Assembly Gallery, and The Archive Exhibit Room to name a few! After seeing California’s capitol, the tour will head to Elko, Nevada where guests will spend the night. 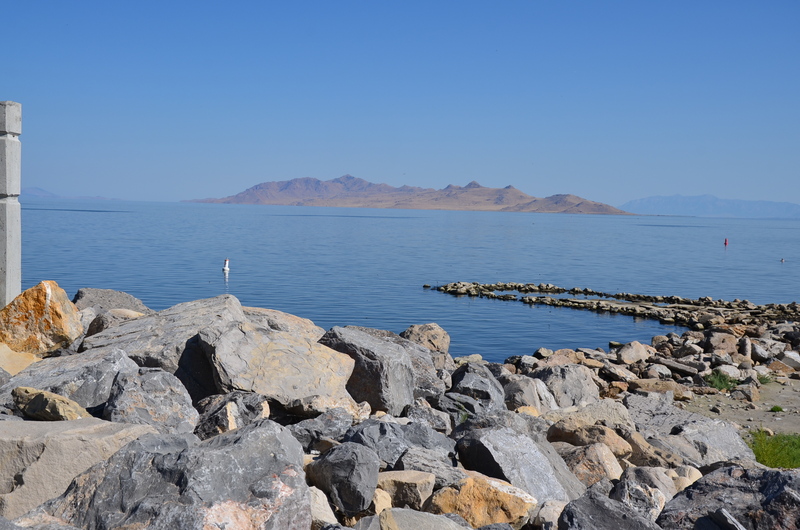 The next day, stop at the picturesque Great Salt Lake in Utah. This is the largest salt lake in the whole Western Hemisphere. The high concentration of salt in the water makes it easier than normal for people to float, and you may even see a few people swimming in the lake when you stop by. You won’t see anyone fishing, though – the lake is uninhabited by fish because it’s too salty for them to survive! In fact the only living things that survive in the lake are brine shrimp and some forms of algae! Later in the day, the bus will make a stop at Independence Rock in Wyoming! 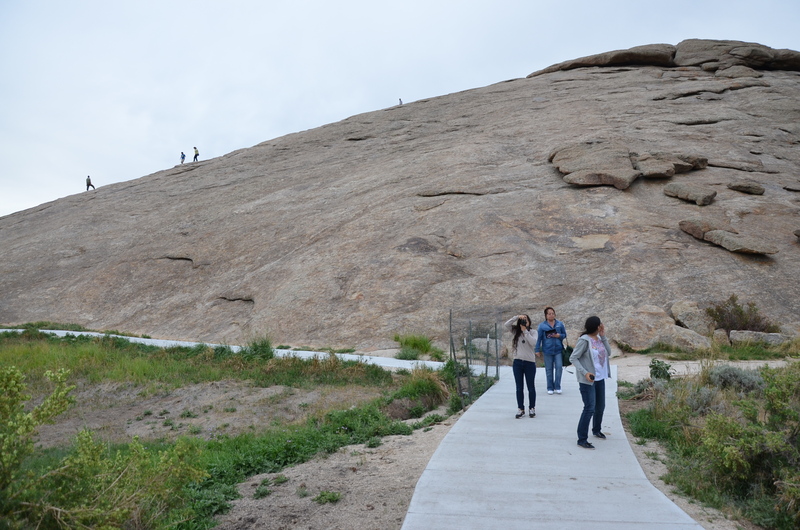 Independence rock is a huge granite rock that is now a Historic Site. The rock is famous for its use in the 19th century when people journeying westward would carve their names into it. Why is it called Independence Rock? Many travelers coming from Missouri tried to reach this destination by July 4th (Independence Day), giving them enough time to arrive at their final destinations before Winter. 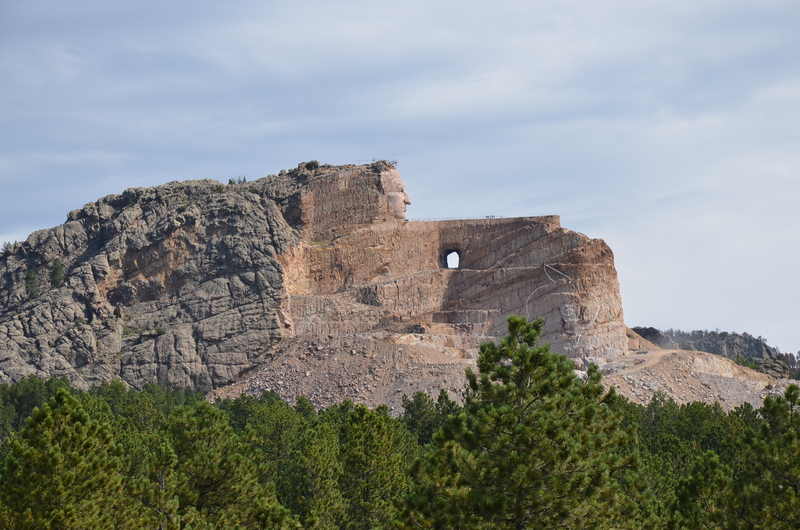 On day 3, visit the Crazy Horse Memorial! This sculpture, while not yet complete, honors Crazy Horse, a Native American leader who is is most well known for his victory at the Battle of Little Bighorn in 1876. While here, visit the museum and gift shop where you can see many Native American artifacts and artwork. Then, visit Mt. Rushmore in South Dakota. Mt. Rushmore is one of the most famous landmarks in America! 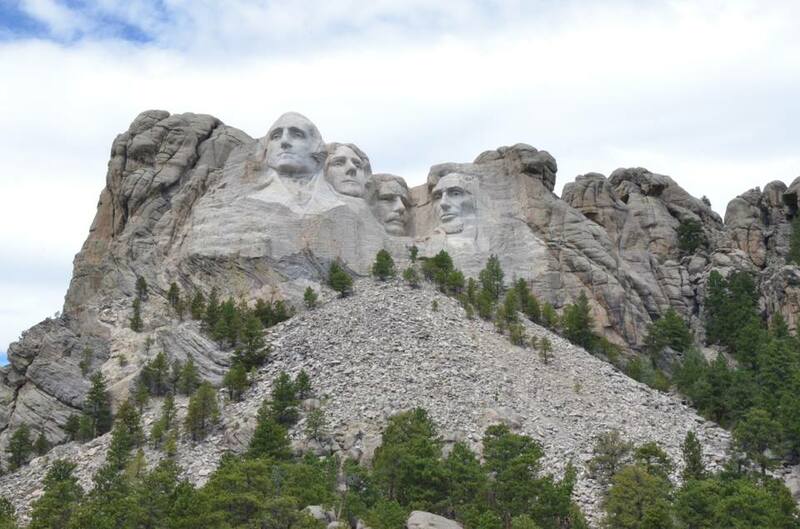 This amazing sculpture is carved right into South Dakota’s Black Hills and commemorates 4 of the United States most beloved presidents: George Washington, Thomas Jefferson, Theodore Roosevelt, and Abraham Lincoln. Enjoy the view from the terrace, or take one of the trails to get a closer view of the monument. After Mt. 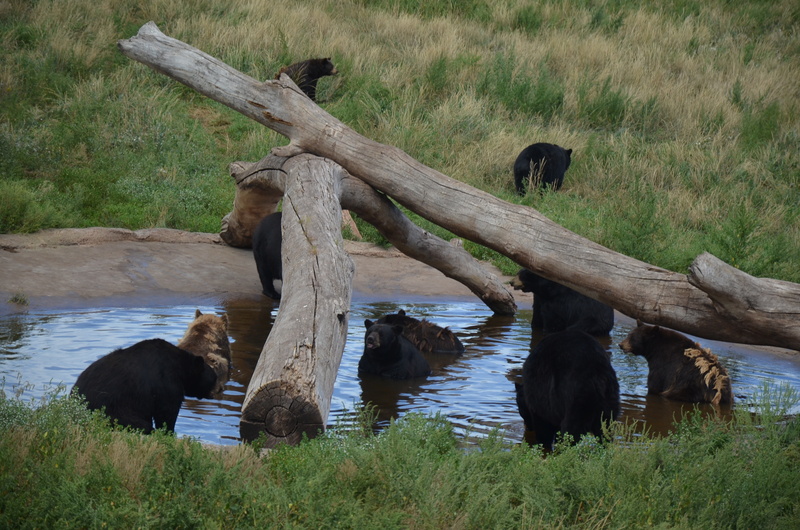 Rushmore, make a trip to Bear Country. The Lassen Tour bus drive through the animal exhibits, giving you a close up look at some exciting animals including reindeer, wolves, bighorn sheep, mountain lions, and of course, BEARS! It’s hard to believe that all this is seen in just the first half of the YMR7 trip. From here, the tour continues to Yellowstone! Our next blog will go over the highlights of the second half of the tour, so stay tuned! This entry was tagged Crazy Horse, Devils Tower, Independence Rock, Mount Rushmore, travel, Yellowstone National Park. Bookmark the permalink.